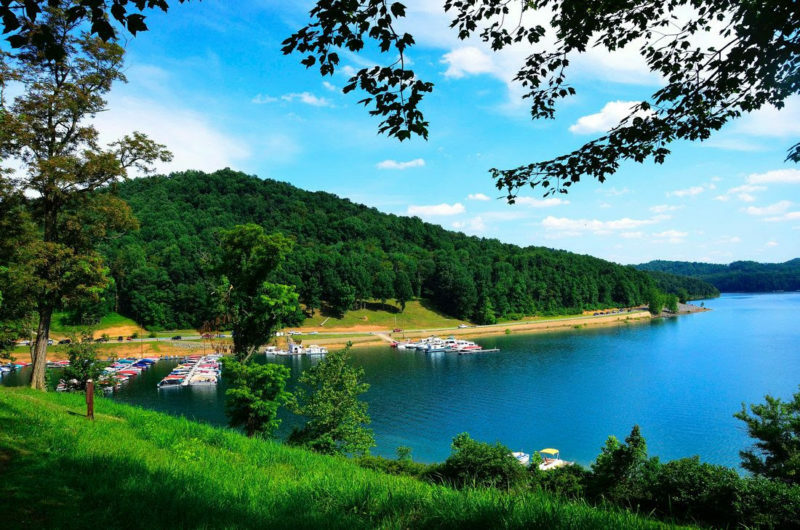 A major upgrade to the boating facilities at Tygart Lake State Park will begin this fall, according to park superintendent Jim Browning. Construction is tentatively scheduled to begin Monday, Oct. 9, and is expected to be completed by early summer 2018, and visitors should be aware that the entire marina and boat ramp will be closed to traffic during this time. The project will enlarge and combine two smaller parking lots to create 110 new parking spaces for vehicles with boat trailers. Plans also include widening both existing boat ramps, from single lanes to two lanes. Both ramps will be extended, with one reaching more than 100 additional feet to near the seasonal low water mark. Courtesy docks and wheelchair-accessible ramps also will be constructed, Browning said. “These improvements will extend the boating season at Tygart Lake State Park and provide easier access to the lake,” Browning remarked. Find out more about scheduling and recreation at the park site.